Silver Needle is one of the ten classic teas of China and as such is treasured and in high demand among tea connoisseurs. Many think the only true Silver Needle comes from the Fujian Province in China. In fact, one tea vendor describes the tea this way: “This variety of white tea is produced in the Fuding and Zhenghe areas of Fujian province.” However, a change has been going on, with tea growers in India and Sri Lanka leading the pack toward producing a top-quality Silver Needle to rival the Fujian version. One issue is the name “Silver Needle” — should it be applied to teas of a certain characteristic and produced in a certain way? Or should a geographic determiner also be assigned, as it is for Darjeeling teas that have to be grown in the state of Darjeeling in India and Pu-erhs that have to be grown and processed in the Yunnan Province of China. 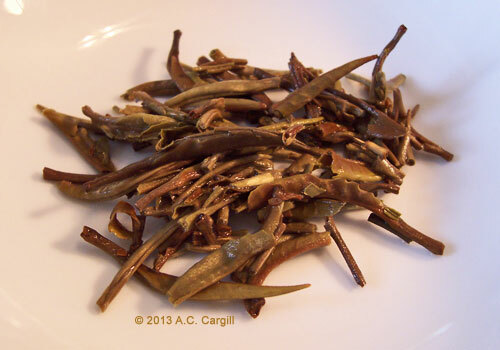 If a geographic determiner is added to the definition of what is a true “Silver Needle” tea, then similar white teas produced outside of the Fujian Province could not be called “Silver Needle.” Based on the quality of the teas produced outside of the Fujian Province, such a restrictive use of that name could very well be in the offing to prevent these teas from competing. A quick online search pops up many others, such as one from a vendor in the Nilgiri state of India that, if it lives up to the web site photos, rivals those from Fujian. Another example is a version from the Manjushree Plantations Ltd. At a glance, this doesn’t seem to be a case of slapping a popular name on a tea so a higher price can be charged. It’s true that fake pu-erhs abound, becoming more rampant as knowledge of and demand for this type of tea increases, and that the name “Long Jing” or “Dragon Well” is now used for teas grown and processed nowhere near the famous well for which they are named. So, we could well understand if “Silver Needle” becomes a restricted name to prevent this type of proliferation. Whether this will be helpful or not I cannot say. Trying to get U.S. tea drinkers to see beyond the teabag is hard enough without making tea more complicated than it needs to be. 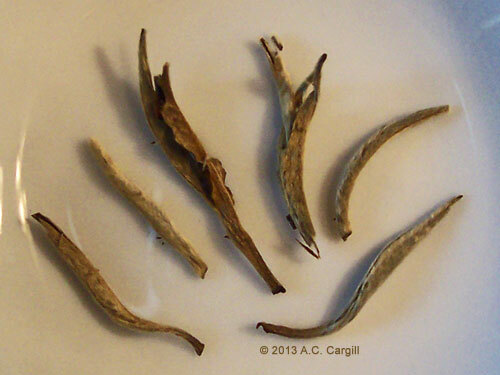 This entry was posted in White Teas and tagged JAS-eTea, silver needle, White Teas. Bookmark the permalink. From a tea tasting standpoint, if the tea is made in the same style of Yinzhen in Fujian, then it should also be called Yinzhen, so that direct comparisons could be made. Besides Fuding, where white tea is traditionally produced, Zhenghe county as well as Fu'an county produce white teas. No matter the location, Yinzhen is used as a standard and descriptor of tea quality: tea buds only (in varying grades). This is only one grade of 3-4 grades of white tea: Silver Needles (buds), White Peony (Buds and some leaves), Longevity Eyebrow (whole leaves), Aged White.